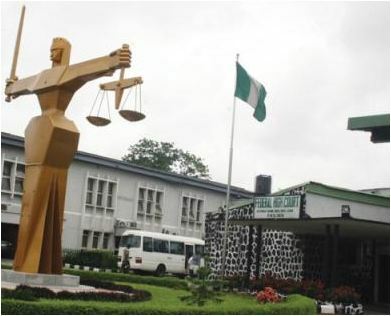 Tajudeen Lateef, a 56-year-old man today appeared at an Ikeja Magistrates’ Court for allegedly breaking into a food vendor’s shop and stealing pot of soup, and N10,000. Lateef, who resides at Atan near Ota in Ogun, is being tried for stealing but he pleaded not guilty. However, the Police Prosecutor, Sgt . Mike Unah insisted that the accused committed the offence on May 3 at No. 27, Isiaka St., Oko-Oba, Agege, a Lagos suburb. He said the accused broke into the shop of the complainant, Tawa Amusa, ransacked it and stole a pot of soup valued at N3,000, and N10,000. He also stole a phone valued at N3,000 belonging to Jamiu Onifade, Unah told the court. “The accused was, however, caught by some security guards who were near the scene” The offence contravened Section 287 of the Criminal Law of Lagos State, 2011. The offence carries a penalty of three years imprisonment. The Magistrate, Mr A.A. Fashola, granted bail to the accused in the sum of N10,000 with one surety in like sum. Fashola said the sureties must be gainfully employed with an evidence of tax payment to the Lagos State Government and adjourned the case until May 28.